If you're a Primary Admin, you have the ability to create other Admins for your account. For example, if you have multiple staff in your organisation using Vald Performance systems, it’s handy to set them up with their own Admin credentials. IMPORTANT NOTE: if you have sensitive information in your Team’s DashBord database that you wish to grant/restrict access to, it’s important to ensure each Admin you create has appropriate Group permissions enabled. Managing these permissions can be tricky, so please contact us at support@valdperformance.com if you would like us to assist in recommending a Team, Group and Admin structure for your organisation. Enter the new Admin’s name and email address, and click CREATE. 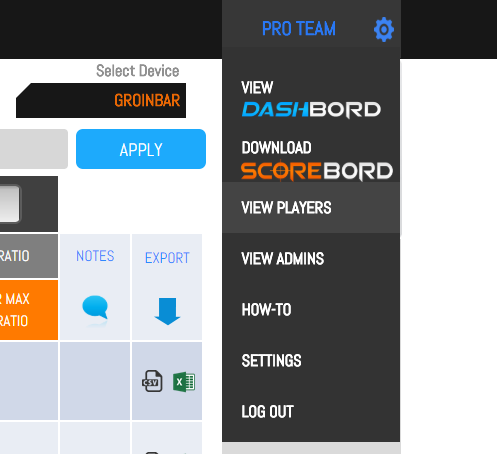 This will send a Team Admin Registration email to the new Admin, allowing them to set their password, install the ScoreBord app and log in. If you're a Primary Admin, you can also choose to add the new Admin to one or more Groups. To do so, go to the VIEW PLAYERS page. Important note: if you don't add them to any Groups, they'll be able to access ALL Groups by default. Click the edit icon next to the name of the Group you'd like to add them to. 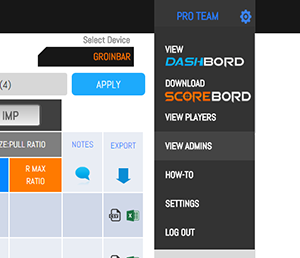 Then use the ADMINS section to add the new Admin to that Group.